It was evening mass in a darkened cathedral, where candlelight flickered amongst scattered parishioners while a priest intoned the Scripture reading. Panning up from the huddled crowd to the lofty rafters and statue work, the shadows concealed two piercing yellow eyes. 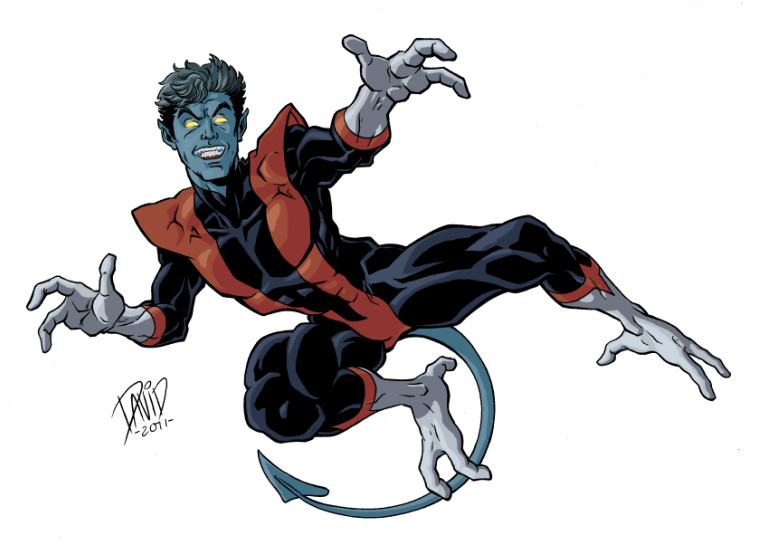 Forced to hide in church because of his demonic appearance, then because of his identity as a mutant, and now because of his celebrity, demonic, mutant status Nightcrawler had never felt welcomed in the church, yet he had always felt at home there. Nightcrawler crossed himself and bowed in prayer as the priest finished the passage and began to pray. That’s when the hidden mutant’s cell phone began to ring. As all eyes turned upward, there was a cracking sound and a sudden puff of smoke as the stench of brimstone began to waft down on the congregation. Several people muttered about fire, but the priest prayed on. As he pocketed the phone using his prehensile tail, he stretched his limbs and cracked his back. “That’s not a short jump, so I better get hopping. Oh the things I do in the name of heroism.” He took a deep breath and vanished in a puff of smoke, materializing out across the water before vanishing with another crack and puff of smoke, and appearing further out over the water. 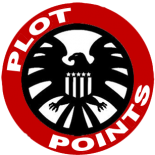 This entry was posted on November 19, 2015 by jpjolin in Uncategorized.